Browse: Home / sandbox attacksurface analysis tools. 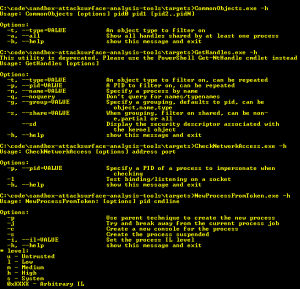 sandbox-attacksurface-analysis-tools a small suite of tools to test various properties of sandboxes on Windows. Many of the checking tools take a -p flag which is used to specify the PID of a sandboxed process. The tool will impersonate the token of that process and determine what access is allowed from that location. Also it’s recommended to run these tools as an administrator or local system to ensure the system can be appropriately enumerated. 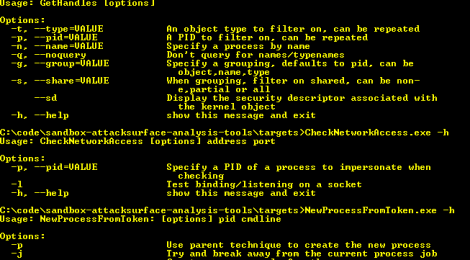 – NtApiDotNet: A basic managed library to access NT system calls and objects. 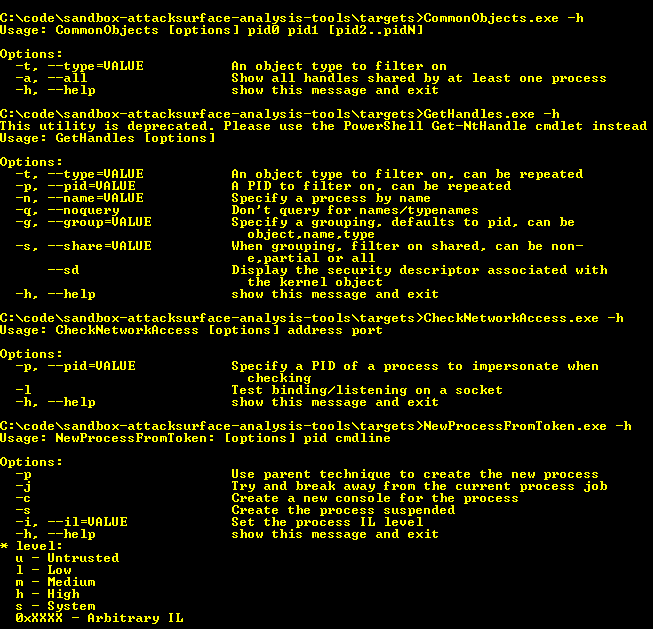 Note that the following tools are deprecated, they’ve been replaced with more flexible Powershell cmdlets. You shouldn’t use them as they’ve not even guaranteed to work correctly. ← ysoserial v0.0.6 – a POC tool for payload generator that exploits unsafe Java object deserialization.